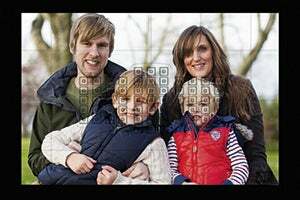 You don't need lots of expensive kit to take great family images. Canon E0S 7D MK II, 85mm lens, 1/250sec @ f/4, IS0 200. 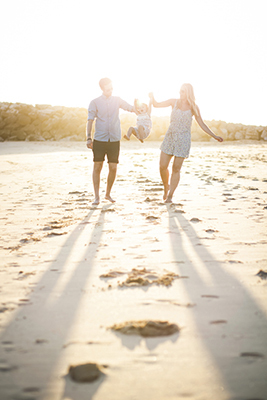 Whether it’s your own family, a friend’s or a relative’s, practically every aspiring photographer has tried their hand at taking family photos at some point in their lifetime. Those who have tried it may have found that it’s not always as simple as it first seems, and if you truly want to capture some memorable moments of your family (or someone else’s family for them), a little bit of prior insight and knowledge can really go a long way. 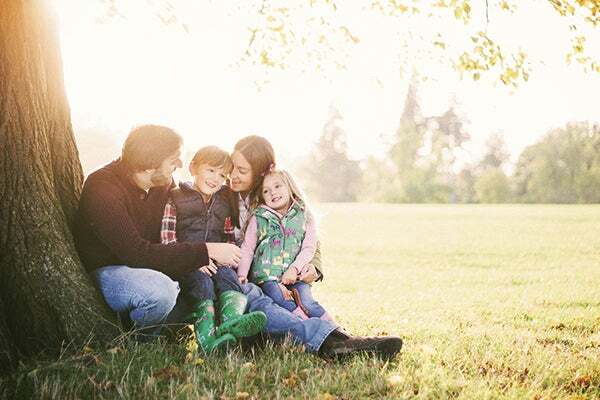 If you’ve ever wanted to improve your skills at taking stunning family images, then you’re in luck as here we’ll be covering some useful tips and tricks that when applied will greatly improve your chances of capturing some breathtaking family photos. One of the great things about family photography is that you don’t have to shell out on a bunch of expensive equipment in order to capture great shots – all you really need is a DSLR and a portrait lens. A 50mm lens is a popular choice among portrait photographers as this focal length is said to be close to that of what the human eye sees. And the good news is that Canon currently offers a 50mm f/1.8 STM lens at £97, which means you won’t have to break the bank to get started. 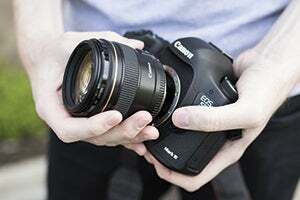 This lens in particular offers a wide maximum aperture of f/1.8, which will allow you to create a really shallow depth-of-field for professional-looking portraits. The first step to any shoot is finding a good location. Ideally you’ll want to find somewhere that offers a variety of scenic backdrops; local nature parks and country walking trails are often top choices and can be easily found with a bit of internet searching. If the family has young children, it’s often a good idea to choose a location that can offer some form of entertainment for them, such as a child’s play park. The most crucial thing to remember when taking family photos is to keep the mood relaxed and fun. Most people feel uncomfortable about having their photo taken, so it’s your job to make sure that they feel calm and relaxed right from the get go. If you maintain a positive and polite approach, then chances are your subjects will adopt the same attitude and the results will almost definitely show in your photos. Also, be aware that some people will naturally take longer to relax than others – especially if it’s the first time that they’ve been on a photo shoot. I often like to spend the first 10-15 minutes of a photo shoot simply walking and talking with the family before I start taking any photos. Not only does this give me a chance to get to know the family better and start to build up a rapport with them, but it also gives them a chance to get to know me too, which will ultimately put them at ease. Positioning your subjects in fun and creative ways can be daunting for any aspiring photographer. When starting out, the best way to understand which positions work best is to take inspiration from other photographers. There are a wealth of photographs online, and once you find an image that you want to adapt, try taking a screen shot or making a written note of it and taking it with you to your shoot for reference. You’ll soon find yourself getting to grips with which poses do and don’t work well. Using a shallow depth-of-field will allow you to throw the background into a thick, pleasing blur, which will not only help to remove any would-be distractions from the background, but also to help draw the viewers’ attention on to your subject. Switching your camera over to aperture-priority mode (Av on the mode dial) will allow you to set the desired aperture while the camera takes control of the shutter speed, allowing you to concentrate on getting the composition just right. However, it’s also a good idea to keep one eye on the shutter speed while you’re shooting to ensure that it doesn’t drop below 1/120sec, as this can cause your images to blur from camera shake. If the shutter speed does drop due to a lack of ambient light, increase the ISO to compensate. The key to any good portrait is ensuring that your subject is pin-sharp and in focus, and part of this is to do with the aperture. When photographing one or two people standing next to each other, use a wide aperture such as f/2 or f/1.8 as it’ll achieve a nice blur to the background and foreground, while keeping the subject(s) sharp. With multiple subjects though, it’s often wise to favour smaller apertures, such as f/4 or f/5.6, to increase the size of the in-focus area within the photo and ensure that everyone is kept sharp. When it comes to focusing on your subject, it’s key that the eyes are kept in focus. The easiest way to do this is to frame up your shot and while still looking through the viewfinder simply move the active AF point until it hovers over the eyes of your subject, then, half depress the shutter button to lock on focus. Moving the active AF point can done by pressing the AF Point Selection button and using the d-pad to move the point. Alternatively, on some camera models that feature a secondary d-pad you can set it up via the setting menu so that it can move the active AF point on the fly, allowing you to adjust the AF much more quickly. Lenses with a wide maximum aperture will blur backgrounds. Canon E0S 5D MK II, 50mm lens, 1/320sec @f/1.8. IS0 200. Sometimes the best photos you’ll capture are the ones that just happen in the spur of the moment, so always keep your eyes peeled for these opportunities and ready yourself to capture the action. Don’t get disheartened if you miss a few moments when first starting out as it’s bound to happen, but rest assured that with more practice you’ll soon be able to fine-tune your senses to instinctively reach for your camera the moment you see a great shot about to reveal itself. It always pays dividends to set up your camera correctly to better your chances of bagging the shot. 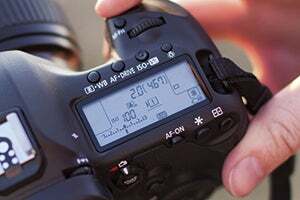 So, start off by setting your camera’s drive mode to High Speed Continuous as this will allow you to rattle off a steady stream of shots by simply holding down the shutter button. Not only will this allow you to keep up with the action for moving shots, such as children running or playing, but it’ll also mean that you can easily take multiple images of posed shots to increase your chances of bagging a photo without someone blinking in it. In order to achieve photos with a nice shallow depth of field, you’re going to have to use a lens that offers a wide maximum aperture – f/2.8 or wider is preferred. Prime lenses are able to offer super-wide maximum apertures, compared to most mid-range zoom lenses that are much more limited. Switch to Aperture Priority mode (shown as Av on the Mode Dial). Now you can set the aperture while the camera takes care of the shutter speed, which is ideal for portraits. 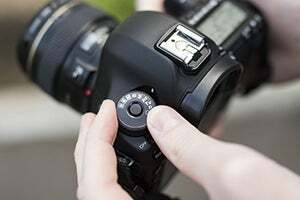 Depending on the amount of available light, you may also need to increase the ISO to ensure you’re achieving a shutter speed of at least 1/150sec. If you’re shooting one or two people, set the aperture to a nice wide setting – f/2 or wider should work well. This will enable you to turn the background into a pleasing blur. If shooting three or more people it might be a good idea to use a smaller aperture of around f/4 to ensure that everyone is in focus. Locate and press the Drive mode button on your camera. Set the Drive mode to High Speed Continuous mode. This will allow you to take multiple shots in quick succession by simply holding down the shutter button, which will increase your chances of bagging a great shot – especially with moving subjects. While looking through the viewfinder, compose your shot. Now, move the active AF point so it’s hovering over the eye of the person in the centre of the frame. Half depress the shutter button to lock focus, then fully depress and hold it for a short while to take a short burst of images. Family photos don’t always have to be stationary, and young children will quickly lose interest anyway. Instead, get the children to run around and play and capture the action as it unfolds. 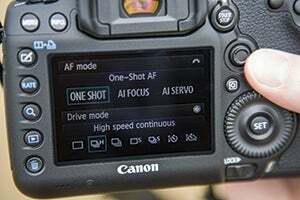 Set your camera’s AF Mode to AI-Servo – this allows the camera to search for targets as long as you have the shutter button either half or fully depressed, which is ideal for moving subjects. Take a series of shots in quick succession to increase your chances of bagging a perfect sharp image. So stock up on memory cards! Working with young children can be a daunting task for any photographer, though it really doesn’t have to be. The important thing is to ensure that you keep the children engaged and entertained for the entire shoot. Try taking a few shots and then showing them the results on the back of the camera – they’ll soon understand what it is you’re doing and it’ll help them to feel part of the experience. Asking them to pull their best funny face is always a good way to encourage some smiles out of them, while choosing a location with plenty of things to see and do will make sure that they don’t get bored. It’s also vital that you try to work fast and efficiently, as dragging the shoot on for too long will ultimately increase the chances of the children growing tired or bored, which will only make things harder for you.